Home / Afghanistan / Blog / Pakistan / United States / Is Pakistan a 'Terror' financing Country ? Islamabad: The mindset of western people towards Pakistan has changed over the years. It was full of trustworthy during the days of 1960s and even before Afghan-Soviet war. But these days are pretty tight for Pakistan as the western powers are trying to place Pakistan on Terror Financing Watch list. But Is it Justice to the people of Pakistan who has lost more than 70,000 of their dear ones. I think, US has forget that Pakistan was the only one who helped the US in war against Terrorism. US cannot defeat Al-Qaeda without the help of Pakistan. Pakistan Army launched many major Military Operations against Taliban, Al-Qaeda and now ISIS in its tribal areas meanwhile US is still blaming Pakistan. Before Pakistan Army's Operations, Terrorists used to roam freely inside the streets of Tribal areas of Pakistan, they were challenging the writ of state as well as forcefully abduct, torture and kill the innocent civilians. Everyday, Suicide blasts take place in any major city of Pakistan. The number of deaths in Terrorists attacks in Pakistan was continuously increasing. This was all started after the Afghan-Soviet war ended. 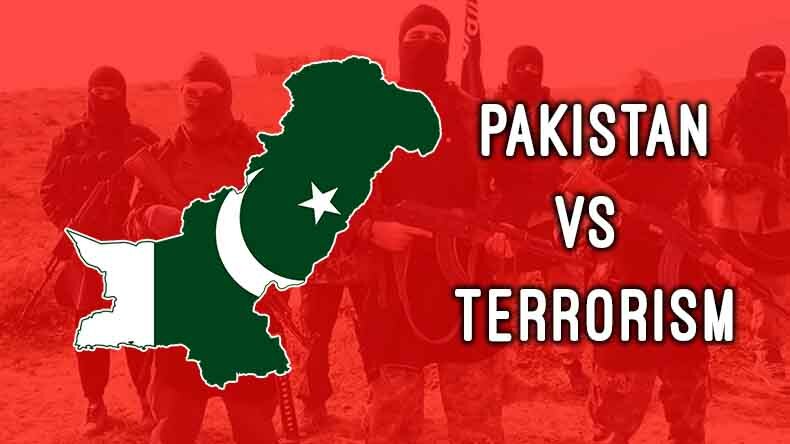 The terrorists who picked up arms against Pakistan were those who were funded and trained by United States (CIA) and Pakistan (ISI) to fight Soviets in 1989. 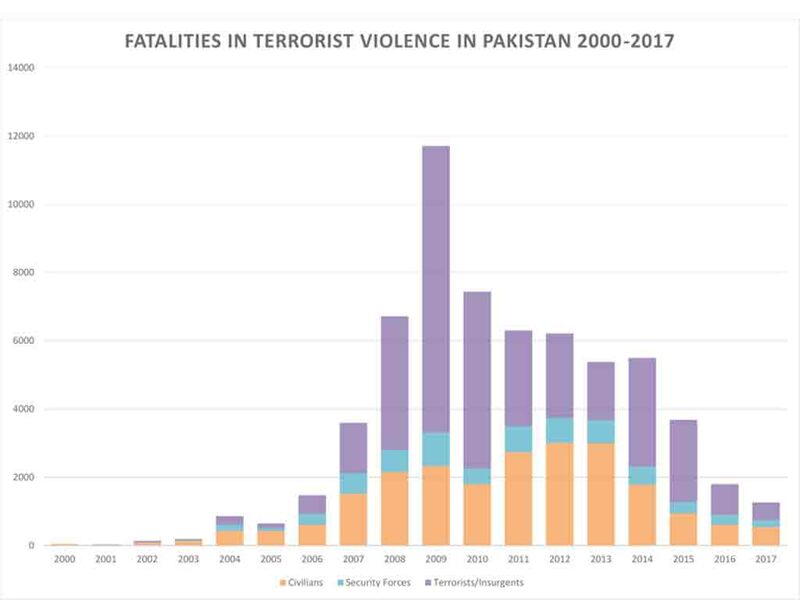 From 2000 to 2014, Pakistan suffered a lot in terrorist attacks meanwhile Pakistan Armed Forces launched several Operations against terrorists but still suicide bombings take place because the Terrorists were heavily funded by Foreign Intel Agencies like Indian RAW to break Pakistan. These terrorists were using gorilla tactics that's why it was very difficult for Armed Forces of Pakistan to root out the terror from the soil. Operation Zarb-e-Azb was the final call to all terror organizations to either surrender in front of State or get ready for the battle with brave Armed Forces of Pakistan. This operation was started on June 14, 2014 in all over Pakistan. This operation results in 3000-3500 terrorists killed, 1100+ arrested & 450 hanged during 2 years. And if we talk about the Armed Forces, 600+ Army troops sacrificed their life and 3000+ injured. Also 46+ ISIS terrorists were killed in this Operation. After this Military Ops, Peace has returned to Pakistan. Around 90 Percent of terrorism have decreased all over the country. Business is in full bloom and Country's infrastructure is growing. Now, If we compare achievements of Pakistan with US in Afghanistan. It would be like comparing ant with elephant. Since US invasion of Afghanistan, US forces still not been able to wipe the Taliban in Afghanistan where as Pakistan has ripped off the Taliban roots completely from its soil and still western mindset says that Pakistan is a Terror Financing Country. Even in the presence of thousands of US Forces in Afghanistan, ISIS has been air dropped into Afghanistan. Who did this ? Who is trying to push Islamic State in Afghanistan ? The whole world knows that Americans have created ISIS in Afghanistan to defeat the Afghan Taliban and still the Americans blame others for terror funding is quite laughable. After all the sacrifices of Pakistani Nation, Peace has returned in our country our economy is growing but at the same time, US is trying to impose a new economic war on Pakistan by warning IMF bailout to Pakistan. Pakistan has done whatever it can to bring peace and stability in its region. Now it's time to 'Do More' for US and its other allies in the region. According to BBC Report, 70 Percent of Afghanistan is being controlled by Afghan Taliban, So what is US Army doing in Afghanistan. So, It would be better for United States to solve its own matters rather than trying to blame others.